In 1996, Australia Enacted Strict Gun Laws. It Hasn’t Had a Mass Shooting Since. 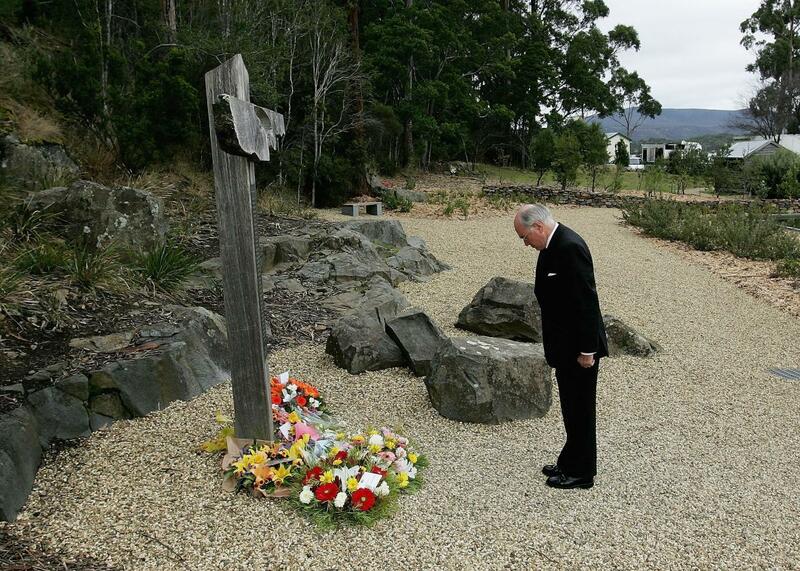 Former Australian Prime Minister John Howard lays a wreath at the memorial site of the Port Arthur massacre on its 10th anniversary. The mass killing spurred Howard’s government to pass sweeping gun control laws. As America grapples with the fallout of yet another mass shooting—a school shooting in Parkland, Florida, on Wednesday has left at least 17 people dead, according to law enforcement officials—the long and bitter debate over gun control in America will inevitably be reopened. After Sandy Hook, Will Oremus highlighted the lessons of Australia’s strict gun laws and the resulting success in preventing subsequent mass shootings there. The original post is reprinted below. Oremus also checked back in on how Australia’s gun laws were doing for a 2017 post that can be read here.